This constitution was approved by the National Executive and Members of the Association in April 2017. Effective May 2017. 8.3 TEMPORARY CO OPTING OF NATIONAL EXECUTIVE MEMBERS. and shall be referred to in this constitution as The Association. (g) To carry out the business of “The Association” in accordance with all the principles of equality of opportunity. “The Association” seeks to recruit Membership from the social care services sector and from sectors related, directly or indirectly to social care, referred to in this constitution as ‘The Agency’. 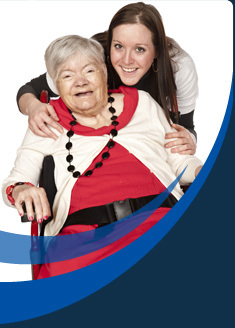 (b) Individual Associate Membership, which shall be open to any person who is a carer, (i.e. : friend or family member, or volunteer or unpaid) or who works as a care giver, is a student, or represents those employed in the sector. (limited access to membership benefits). (c) Individual Retired Membership, which shall be open to any current Full member who has retired from normal employment. d) Corporate Membership, which shall be open to any agency engaged in any aspect of health and safety. Corporate Members may be represented at meetings by any person they may wish to nominate. (b) The National Executive may, in its absolute discretion, terminate, or refuse to accept applications for membership. In exercising such discretion, the National Executive will give due consideration to any representations made to it by the individual or organisation concerned and will make such enquiries and investigations as are proper in the circumstances to establish relevant facts. (c) Each Member shall be issued with a certificate of Membership which shall at all times remain the property of “The Association” and shall be returned to “The Association” on cessation of membership for any reason. (d) Each Member shall select the region/ group (once established) with which he or she wishes to be affiliated. A Member may attend any meeting of the region/group, irrespective of such affiliation, but may only vote in the region/group to which he or she is affiliated. (e) Each Member, as a fundamental condition of membership, formally agrees and undertakes to be bound by, and comply with the terms of this constitution, as it may be amended from time to time. (f) Members are at liberty to state in the public domain that they are members of “The Association”. Members shall not, without the prior written consent of a National Officer, hold themselves out in any way as being able to represent, the views or opinions of “The Association”. (g) No Member, without the prior written consent of a National Officer, shall in any way hold themselves, as being in any way authorised to give any commitment or undertaking of any nature whatsoever in the name or on behalf of “The Association” whether intended to be legally binding or not. (h) All Members shall respect the right of confidentiality of all other Members and shall not disclose to any other person or organisation any views expressed or statements made by any other Member in any way which might lead to that Member being identified as the author or originator of such views or statements, except to the extent that any legally enforceable obligation may require such disclosure. (i) All Members must advise the Administrator in writing of any change of contact information. (j) Members shall be entitled to bring any guests to any meeting. They shall be responsible for the conduct of their guests, particularly as regards the confidentiality requirement set out in section 4(h) of this constitution. (a) Membership of “The Association” is conditional upon the payment of an annual Membership fee. (b) The amount of such fee shall be set by the National Executive and be reviewed by them annually in respect of each grade of membership. (c) Any Member who fails to pay the appropriate fee in full within three months of the due date for payment shall automatically be deemed to have resigned from membership, and shall not have the right to vote, to receive correspondence or other information from “The Association” nor to attend any meetings of “The Association” and shall be so notified in writing by “The Association”. (a) Subject to this constitution and to any directions given by any resolution duly passed by any annual general meeting or extraordinary general meeting, the business of “The Association” shall be managed by an executive committee who may exercise all the powers of “The Association”, and from hereon referred to as the ‘National Executive’. (b) The ‘National Executive’ may delegate any of their powers to any sub committee consisting of one or more Members of the ‘National Executive’. Any such delegation may be subject to such conditions as the ‘National Executive’ may impose and may be revoked at any time by the ‘National Executive’. (c) It shall at all times be the duty of the ‘National Executive’, to seek to manage the affairs of “The Association” in an effective and cost efficient way. (ii) A minimum of six delegates from “The Association’s” Membership. (a) The “National Executive” shall meet not less frequently than quarterly. “The National Officers” shall prepare an agenda for each such meeting and circulate it to all Members of the “National Executive” at least five days prior to each such meeting. The quorum for the transaction of any business by the “National Executive” shall be four elected delegates. (b) Decisions of the “National Executive” shall be taken by simple majority vote of those present at the meeting. In the event of a tied vote, the National Chair or, in the absence of the National Chair, the person chairing the meeting shall have a second deciding vote. (c) “The Association” shall produce and keep minutes of all meetings of the “National Executive” and shall circulate copies of the same to each Member of the “National Executive”. (vi) to develop “The Association’s” operating procedures. ‘National Officers’ shall hold office for a period of two years alternate to the National Executive Committee in order to maintain continuity of business of “The Association”.. They may be nominated and stand for re-election. (a) Not less than two months before the date of expiry of the period of office, “The Association” shall notify the Membership and request nominations of candidates for the post(s). (b) Nominees must be individual Members of “The Association” or a duly appointed representative of a Corporate Member. No Corporate Member may have its representatives holding more than one of the ‘National Officers’ posts at any time. All nominations must be in writing by post or electronically. Nominations must be received by the time and date specified in the request for nominations. Any nomination not received by the deadline, for whatever reason, shall be deemed invalid and the nominee shall not be eligible to stand for the relevant office. (c) As soon as reasonably practicable, after passing of the deadline for nomination, the “National Executive” shall compile a list of the nominees. (d) In the event that only one nominee is nominated for any particular post, that nominee shall be elected *nem.con. (e) In the event that more that one nomination is made in respect of any particular office, “The Association” shall arrange for a secret ballot of all Members eligible to vote. Each nominee may provide a brief statement of purpose in seeking election for the relevant office. Such statement should be forwarded by a date to be set, for circulation to Members eligible to vote. (f) Each Member shall have the right to cast one vote in elections for each post. (g) The number of votes cast for each nominee, shall be advised in writing by post or electronically to each nominee. The nominee for each post who received the largest number of votes shall be deemed elected. (h) All nominations and ballot papers received by post or electronically shall be retained for a minimum period of six months from the date of the election and be made available for inspection by any Member upon the giving of reasonable notice. (i) The persons elected for the various posts shall take up their respective offices with effect from the date specified in the notice calling for nominations. (j) Any Member seeking a post accepts that all “National Executive” Committee Members share an equal responsibility for the work of the “National Executive” and for the duties and responsibilities which emanate from such work. (k) “National Executive” Committee Members will be expected to attend a minimum of 50% of the “National Executive” meetings. (a) “National Executive” Members shall hold office for a period of two years alternate to the ‘National Officers’ in order to maintain continuity of business of “The Association”. They may be nominated and stand for re-election. (b) Not less than two months before the date of expiry of the period of office, “The Association” shall notify the membership and request nominations of candidates for the post(s). (c) Nominees must be Individual Members of “The Association” or a duly appointed representative of a Corporate Member. No Corporate Member may have its representatives holding more than one of the ‘National Officers’ posts at any time. All nominations must be in writing either by post or electronically . Nominations must be received by the time and date specified in the request for nominations. Any nomination not received by the deadline, for whatever reason, shall be deemed invalid and the nominee shall not be eligible to stand for the relevant office. (d) As soon as reasonably practicable, after passing of the deadline for nomination, the “National Executive” shall compile a list of the nominees. (e) In the event that only one nominee is nominated for any particular post, that nominee shall be elected *nem.con. (f) In the event that more that one nomination is made in respect of any particular office, “The Association” shall arrange for a secret ballot of all Members eligible to vote. Each nominee may provide a brief statement of purpose in seeking election for the relevant office. Such statement should be forwarded by a date to be set, for circulation to Members eligible to vote. (g) Each Member shall have the right to cast one vote in elections for each post. (h) The number of votes cast for each nominee,shall be advised in writing either by post or electronically to each nominee. The nominee for each post who receives the largest number of votes shall be deemed elected. (i) All nominations and ballot papers by post or electronically shall be retained for a minimum period of six months from the date of the election and be made available for inspection by any Member upon the giving of reasonable notice. (j) The persons elected for the various posts shall take up their respective offices with effect from the date specified in the notice calling for nominations. (k) Any Member seeking a post accepts that all “National Executive” Committee Members share an equal responsibility for the work of the “National Executive” and for the duties and responsibilities which emanate from such work. 8.3 CO OPTING/appointment of additional OF NATIONAL EXECUTIVE MEMBERS. (a) The “National Executive” Committee shall, at any time (if it so desires) co-opt/appoint additional Members to the “National Executive” either temporary to cover illness/resignation or to increase the numbers of Members serving on the “National Executive” in order that the work of “The Association” continues until the current Member’s period of office expires. The co-opted/appointed person(s) may then stand for election to the “National Executive” as in 8.2 should the “National Executive” decide the increase in numbers is appropriate. (a) The “National Executive” shall appoint a ‘National Treasurer’. The post may be filled by a member of the “National Executive”, other than ‘National Officers’, or by a non -member of the “National Executive” co-opted for the purpose by the “National Executive”, for a period not exceeding two years or as the “National Executive” shall deem appropriate. (v) ensure “The Association’s” cash balances are invested so as to maximise the income thereon without incurring undue risk. The “National Executive” shall appoint an external auditor to conduct an annual audit of “The Association,s” accounts, accounting records and procedures to report to the Members on the same and to recommend to the “National Executive” any matters which the auditor may deem appropriate. The “National Executive” shall agree the fee for such audit. (a) An annual general meeting of “The Association” shall be held at least once in each calendar year, not more than fifteen months and not less than nine months after the date of the previous annual general meeting. “The National Executive” shall set the actual date and location of the meeting. (iii) any other motion for consideration by the annual general meeting. (c) Each Member shall have the right to cast one vote in any vote or ballot taken at an annual general meeting. Any Member unable to attend in person shall be entitled to appoint a proxy to speak and vote on that Member’s behalf. “The Association” must be notified of the appointment of a proxy, the Member concerned, in writing by post or electronically not less than forty eight hours before the commencement of the annual general meeting. (d) The quorum for an annual general meeting (and any Special General Meetings)6 shall be the attendance at the commencement of the meeting and the taking of any vote, in person or by proxy, of at least 20 by number of those Members of “The Association” entitled to attend and vote. (e) Votes will be taken at the meeting on a show of hands. At the discretion of the National Chair, a ballot may be ordered. For normal business, decisions will be made by a simple majority of those voting. All motions to change or amend this constitution in any way, shall require a vote in favour by at least three quarters of those Members attending the meeting, in person or by proxy, who are entitled to vote. In the event of an equality of votes, the Chair shall have a second or casting vote. (f) If a quorum is not present within an hour from the time appointed for the meeting, the meeting, if convened upon requisition shall be dissolved, but in any other case, it shall stand adjourned to another day at a time and place as determined and notified to all voting members. If at such an adjourned meeting a quorum is not present; those members who are present shall be a quorum and may transact the business for which the meeting was called. Proxy votes received for the adjourned date and time shall be carried forward to the adjourned meeting unless a withdrawal is received from a voting Member in writing of their proxy. (g) “The Association” shall keep minutes of the annual general meeting and shall issue them to all Members. (a) Any general meeting of “The Association” which is not an annual general meeting shall be an extraordinary general meeting. (b) An extraordinary general meeting may be convened at the request of the “National Executive” or on the written requisition of not less than one quarter of the Members entitled to vote at a annual general meeting. (c) Upon receipt of a request by the “National Executive” or a written requisition from Members, “The Association” shall, within six weeks of such receipt, issue a notice calling the extraordinary general meeting, specifying the location, date and time of the meeting, the business to be conducted and the motion (s) to be considered. (d) The provisions as to voting rights, proxies and the quorum for an extraordinary general meeting shall be the same as for the annual general meeting. (e) No motion put to an extraordinary general meeting shall be passed unless at least three quarters of those attending the meeting and entitled to vote, cast their vote in favour of the motion. (a) If, at any time, it appears to the “National Executive” that it would be advisable for any reason to wind up the affairs of “The Association” the “National Executive” shall call an extraordinary general meeting for the purpose of approving a motion to wind up “The Association”. Such a meeting shall be conducted in accordance with the requirements for an extraordinary general meeting, SAVE THAT only the Members shall have the right to vote and that a simple majority of those voting shall be sufficient to pass the motion. (b) Following the passing by the extraordinary general meeting of the resolution to wind up “The Association” the “National Executive” shall take all necessary steps to recover all monies and assets owed to “The Association” and pay all sums due to its creditors. The ‘National Treasurer’ shall issue a certificate to all Members of the “National Executive” when this process has been completed or has been as nearly completed as possible in the circumstances. (c) Any assets owned by “The Association” shall be offered to such other voluntary bodies and upon such terms as the “National Executive”, in its absolute discretion, see fit. Any monies remaining after the discharge of all “The Association’s” obligations shall be donated to such other voluntary body or bodies as the “National Executive”, in it’s absolute discretion, sees fit. (d) The “National Executive” shall make such provision as it sees fit for the retention or disposal of the records of “The Association” subject to legal and accounting requirements and best practice. (e) Upon conclusion of the above steps, the “National Executive” shall meet to pass a resolution formally dissolving “The Association”. Subject to any legal requirements, to the contrary, all elected “National Executive” Committee Members shall be indemnified out of the assets of “The Association” against any liability by them, or any of them in defending any proceedings, whether civil or criminal, where judgement is given in their favour or in which they are acquitted or in connection with an application in which relief is granted to them by the court from liability for negligence, default or breach of duty or breach of trust in relation to the affairs of “The Association”. This constitution was approved by the “National Executive” and Members of the Association. in April 2017. Effective May 2017.